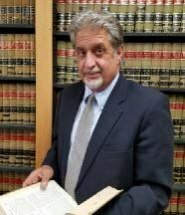 Our family law, criminal defense and personal injury law firm has served residents and visitors in Ocean City and other Maryland communities on the Eastern Shore for over 30 years. We are familiar with the local courts and administrative agencies that handle your criminal case, family law matter, or personal injury claim. As a result, we know how to help you obtain the best possible conclusion in a timely manner. Because our resort community is a busy vacation destination for people from New York, New Jersey, Ohio, Pennsylvania, Connecticut, Virginia and other areas, we serve many clients who live and work outside of Maryland but need a local attorney. Our clients often find themselves in search of an experienced Maryland lawyer after encountering legal troubles while on vacation. Many are first-time offenders and discover how difficult it can be dealing with an important legal issue from hundreds of miles away. Our goal is to expeditiously handle your case with minimal interruption to your daily life. This includes limiting the number of appearance you need to make in the State of Maryland. Our approach involves intense pre-trial work, including negotiations, to help you resolve your case out of court. With over 30 years in the legal system, we are skilled at obtaining exceptional results in criminal and civil matters. Even though we prepare every matter for trial, we understand that you may be better served through negotiation and settlement. We will help you make informed decisions to determine if your situation warrants settlement or litigation and will only proceed with your best interests in mind.